Frank primarily focuses on assisting employees in employment discrimination, wage and hour and wrongful termination. He graduated from the University of South Florida Honors College with a bachelors in Political Science. Frank spent a Florida Legislative session interning with the Hillsborough County public affairs team advocating on behalf of hillsborough county residents. He attended Albany Law School in New York State where he interned in the Low Income Taxpayer Clinic assisting indigent taxpayers protect their wages and income tax returns from government garnishment. After graduating law school, Frank went to work in house for a healthcare provider working with employees and independent contractors in for a diverse equal opportunity faith based organization. Today, Frank represents employees looking protect themselves from discrimination, wage withholdings, medical leave violations and wrongful termination. In addition to assisting employees, frank has extensive experience assisting employers in the healthcare arena navigate human resources, HIPAA and contracting matters. Frank lives in Venice, FL with his wife Sarah. He is a member of the Sarasota County Board of Zoning Appeals. Frank and his wife attend the Coast Life Church and he is a member of a local C12 work group for christian business owners. 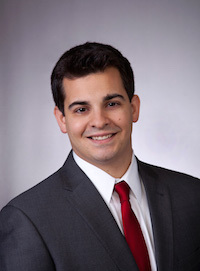 Frank is a member of the employment law and health law section of the Florida Bar.